CD52, also called CAMPATH-1, is a 21-28 kDa glycopeptide anchored to the membrane by a glycosylphosphatidylinositol (GPI) structure. The mature CD52 antigen is a very small protein (12 aminoacids) of 8-9 kDa. CD52 is expressed on lymphocytes, monocytes, macrophages and on epithelial cells of male reproductive tract, shed into seminal plasma and acquired by spermatozoa. 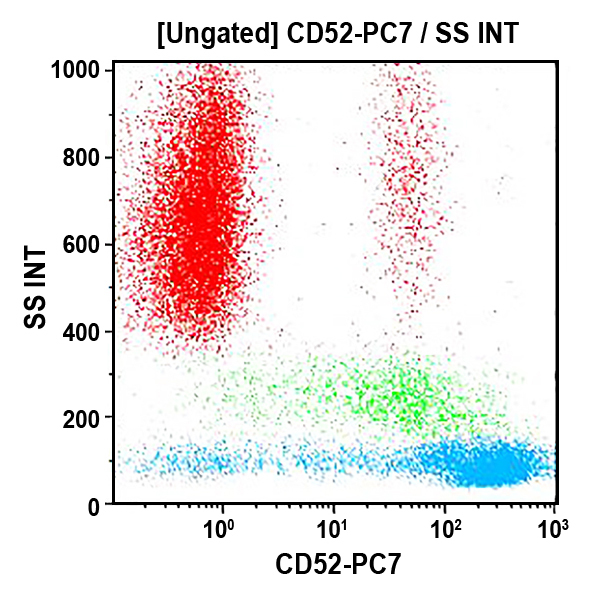 Physiological role of CD52 on lymphocytes is unclear, although CAMPATH-1 antibody is capable of complement activation and it has been used in lympho proliferative disorders. Monoclonal antibodies directed against sperm may cause sperm immobilization and agglutination.